Ski-in ski-out home in Historic Old Town, Park City. Four bedroom, three bath, exquisitely maintained newer home with private outdoor hot tub. One car garage. Internet - High speed cable modem and Wi-Fi wireless router. Absolutely prime location in Park City. The back door opens to the Quit'n Time ski run. Ski to the Town Lift and ski back to the hot tub on the rear deck. City stairs down to Main Street. The restaurants, shopping and night life on Main Street are only two blocks away. Owner since 2000 with hundreds of happy customers. 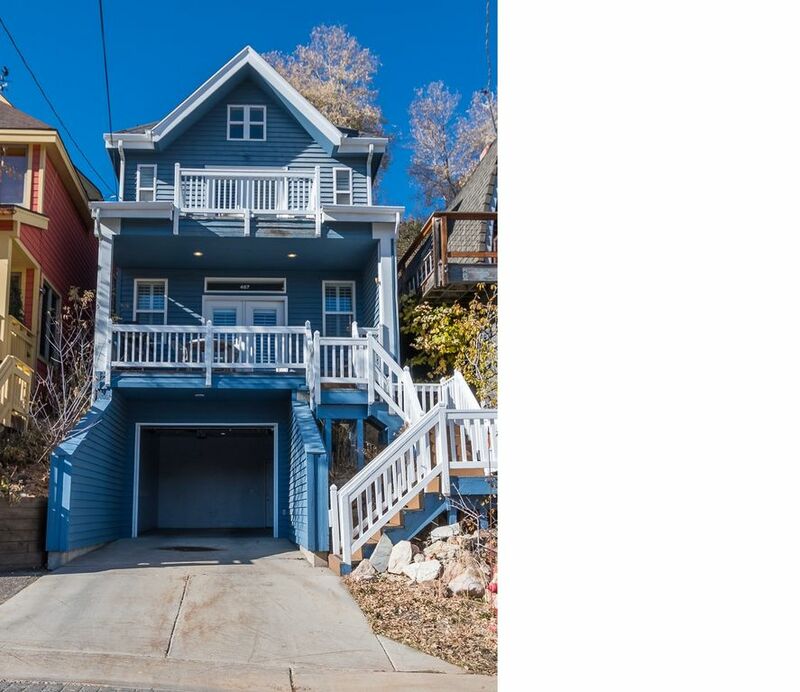 This house offers one of the few absolute best locations in Park City with true ski-in ski-out and a short two block walk to the center of Old Town on Main Street. One car garage plus driveway. House was as advertised -- Excellent! My family and I enjoyed very much our stay in Park City and staying in a comfortable home with the ski-in-ski-out, hot tub, and such close access to the town could not have been better. Dave (the owner) was very accommodating in allowing us to check in a little early on check-in day and very responsive to any questions we had. The house was clean and in good order. Great TV and couch to relax on as well as comfortable bedrooms and a large kitchen table. We very much enjoyed our stay and would recommend the house to others. Lots of room and everything a family of ten needed. The ski in/out was great and close to restaurants, etc on main street plus near the shuttle route for trips to the grocery. I think the property is a little better suited for older children. All of Park City is unfriendly to strollers. I saw parents struggling around the main lodge, in town, and around the house. We made it work and it wasn't anyone's fault. And, even with this slight negative it has been one of our favorite trips with the kids. The owner of this house is very responsive. I had a few things I mentioned during and after my stay that he addressed immediately. We cooked a ton of meals in the kitchen and it was very well stocked. The house was perfect for our group. Rooms are comfortable and kitchen had everything we needed for making meals. Easy access to the slopes, shops & restaurants. We love this property. We have stayed here every January for the past 15 years and plan to continue coming.